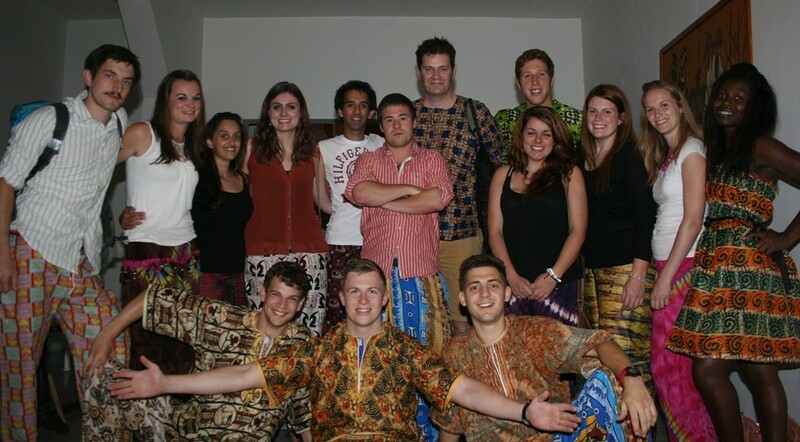 In December 2013, 10 medical students, 2 midwifery students and two paediatric nursing students – accompanied by the Consultant ENT surgeon Mr Simon Browning – visited The Gambia as part of their respective courses. With 2012 being the first year a midwifery student had been part of the group, it was with great pleasure that the link has been able to expand upon this and further its interdisciplinary nature. On arrival we were met by our colleagues in The Gambia, who had lain on a brilliant and diverse timetable for us all. The midwifery students to be placed on labour ward, the paediatric nursing students to rotate between paediatrics and paediatric intensive care, and the medical students (as in previous trips) rotating around the specialties (primarily obstetrics and gynecology, surgery, paediatrics and general medicine) at the principal referral hospital for The Gambia – the recently renamed Edward Francis Small Teaching Hospital (EFSTH) – as well as the British government funded Medical Research Council hospital a little out of the capital Banjul. For the medical students, this process of rotation (with an ability at the end of the two weeks to spend a couple of days in a chosen speciality) enabled us to gain as broad an experience as possible of health care provision in The Gambia – experiences reinforced by two morning spent at the Psychiatric Hospital (Tanka Tanka) and Serrekunda Health Centre (a regional primary care centre primarily aimed at vaccinations and baby checks). Through these two weeks, primarily spent alongside alongside our Gambian colleagues, we were able to see how they manage the frequently late and complicated presentations of diseases that is a large amount of their workload. Through this we gained invaluable practice of our clinical skills, as well as raising interesting questions on the difficulties of practicing medicine in a low-resource setting.Without the plethora of diagnostic tools often used in the developed world, much more emphasis had to be placed in clinical diagnosis – a point which clearly came through when we had the opportunity to sit in on teaching sessions with the consultants. Outside of the hospital, the welcome of our colleagues was also brilliant, with many excursions put on to enable us to experience Gambian culture and learn about its history, as well as extremely kindly inviting us into their homes. We cannot thank them enough for the kindness they showed us, and the time onerous process it clearly was to host us. Overall the trip was a huge success, both in terms of reinforcing the strong partnerships between our two universities, but also in widening both ours, and the Gambians, paradigms through which we think and see health care. The link is looking to send more (and welcome in Swansea) multidisciplinary groups in the future. Throughout the trip we were also indebted to Mr Browning for his guidance and advice.